Does a God exist? Does organised religion have a place in modern society? Can we have morals and ethics without a religious basis? If these are the kinds of questions you find interesting, you should think about joining Hull University's Secularist, Atheist, and Humanist Society (HUSAH). 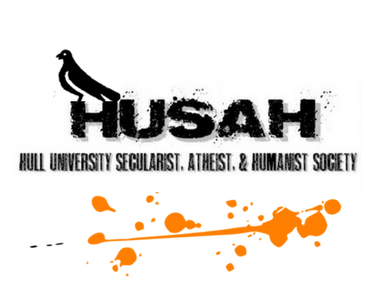 HUSAH is a free-thinking society that gives secularist, atheist and humanist students a place to discuss their views and debate a wide range of topics and questions. Previous topics have included religion in schools, the meaning of life, the state of various theocratic countries, prejudice and discrimination, whether humans can ever be treated equally given their varied nature and many, many controversial and complicated issues! We also make monthly trips to the Hull and East Riding Humanist Group in Beverley to take part in their talks and debates and are affiliated with the National Federation of Atheist Humanist and Secular Student Societies and British Humanist Association - meaning we will be able to attend more events and do more exciting stuff than ever before! Unlike religious societies and groups, we are not bound by the idea that everyone should think the same and we don't pressure people into believing or doing anything in particular. In fact, we really want to know what you think and why so we can discuss it and have a proper chat over a pint or two. Even if you don't use or like the above labels or if, heaven forbid, (pun intended), you believe in a god, you're welcome to come along and join us - just don't be afraid to have your ideas challenged and mind changed. If you want to contribute to the discussions, all are welcome! We meet weekly in EATS Italia in the union to discuss controversial topics, organise events and to generally just hang out. So join us, or something. Join our Facebook group, or follow us on Twitter @husahsoc, and get involved!